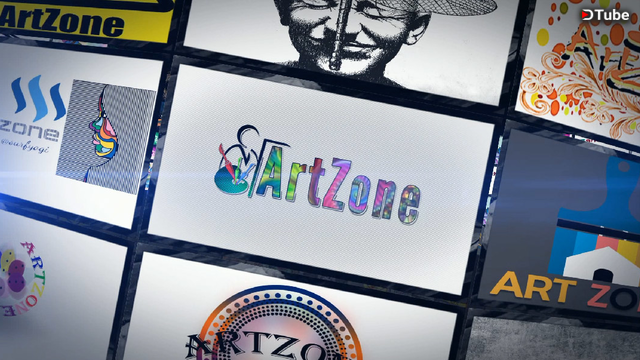 Here is a nice post to document my distribution of 100 Artzone MULA tokens (vsent very easily ia keychain chrome extension by @yabapmatt ) and also this post details some of my favorite new developments on steem that came up while looking for the records of me sending the @artzone MULA tokens ... yup steem-engine tokens have their own block explorer! 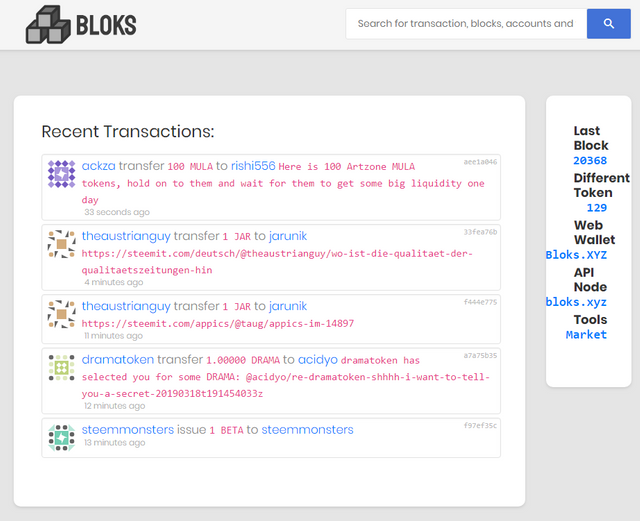 https://bloks.xyz and it has a similar style to Steemd.com our own steem block explorer. Look at that boys! 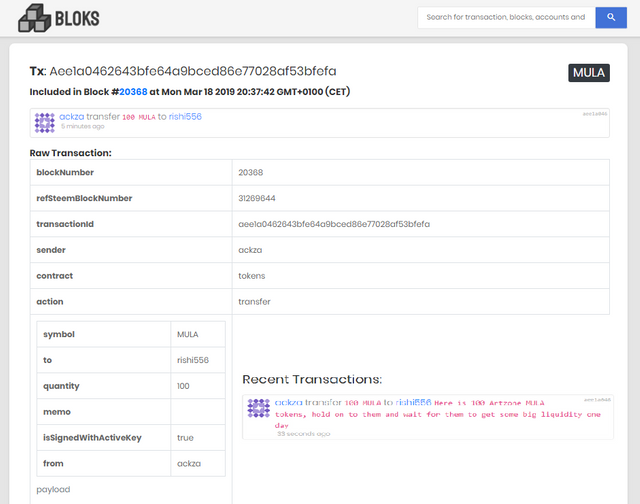 It's a REAL Block Explorer for steem-engine tokens so we can share Transaction IDs and do so much with our steem-engine tokens... we can nerd out on the details over instagram Reddit and twitter and attract all the crypto nerds over to steem as they start to drool over our blockchain speeds and AND they REALLy start to FOMO when you actually RELIEVE some of that Fear of missing out by SENDIG the newusers some actual Steem and SBD by giving them Upvotes, at no charge to you,,, does @aggroed even know how cool this looks??? Solid, appreciate it. Asking nicely does work guys.